Santa Clara County has a current population of approximately 1,800,000 and over 15% of the residents are over the age of 65. The City of San Jose CA ranks as the third largest city in California. About ten percent of all residents are age 65 or above, and over 20% of all San Jose households have a resident over the age of 65. The population of older adults in Santa Clara County will expand over the next decade and beyond. By the year 2030 more than one in four Santa Clara County residents will be over age 60 (27.6%). These statistics are important to long term care planning because high demand on long term care services drives up costs. Government statistics say that about 70 percent of people over age 65 will require some type of long-term care services during their lifetime. Yet, the need for long term care does not only impact seniors. Forty percent of people currently receiving long term care services are ages 18 to 64. The cost of long term care facilities and home health care in Santa Clara County and San Jose California are important to long term care planning. The cost of care data is a key indicator to how much long term care insurance coverage to buy. One of the most comprehensive studies on the cost of long term care is from Genworth Financial. The Genworth Financial 2018 Cost of Care Survey encompasses long term care costs and surveyed over 15,000 long term care providers. 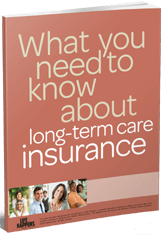 Get Long Term Care Insurance California Quotes! California based ACACIA Insurance has specialized in Long Term Care planning since 1990. Complete the form on this page to request long term care insurance costs and comparisons specific to your situation. Price comparisons customized for your specific needs from major companies like Genworth Financial, John Hancock, Transamerica, Mutual of Omaha, MassMutual and more. Benefit comparisons of each long term care insurance company’s policy. This side-by-side comparison will cover both the similarities and differences of each plan. Financial stability reviews of each long term care insurance company’s financial ratings, assets and claims paying experience. Long term care insurance agents in Cupertino, Milpitas, Morgan Hill, Mountain View, Palo Alto, San Jose, Santa Clara, Sunnyvale and the entire State of California.